PLEASED: Former Geelong mayor Darryn Lyons says he has resolved his legal battle with The Pulse. 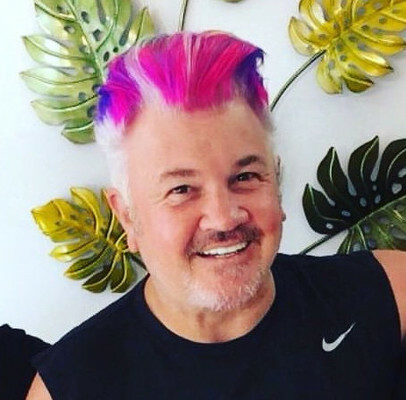 Diversitat has refused to reveal the future of community radio station The Pulse as it settles a public defamation battle with former mayor Darryn Lyons. Diversitat chief Michael Martinez and The Pulse manager Leo Renkin failed to return multiple emails and phone calls from the Indy regarding the station’s future this week. Acting management for both organisations refused to comment while Mr Martinez and Mr Renkin were on leave. The legal battle began after presenter Greg McHenry made derogatory comments on air in July 2017 about Mr Lyon’s night club. Both parties had resolved the matter but were finalising arrangements, which included a joint statement with an apology, Mr Lyons told the Indy this week. “I’m very happy the matter has been resolved,” he said. Mr Lyons declined to reveal financial details of the settlement or whether Diversitat would pay his legal costs, due to confidentiality. He also declined to say if had initially sought compensation when Mr McHenry made the comments. But a public apology had always been “more important” to him and his employees than a financial settlement, he said. Mr Lyons acknowledged The Pulse apologised on air but said he had wanted an apology printed in the local press. Earlier this month, The Pulse launched a fundraiser, with Mr Renkin warning “growing legal fees” threatened the station’s future. “There was no intention whatsoever to close the Pulse – I think the Pulse is incredible for our community,” Mr Lyons said. A few days later Geelong MP Christine Couzens lambasted Mr Lyons in parliament for suing after he had referred “to others in his articles as gutless, gormless, pathetic (and) scumbags“. He said he was “absolutely staggered” and “extremely upset” at the legal stoush becoming “political“, especially as Diversitat received government funding. “It seemed very strange … the huge amount of publicity,” he said. Ms Couzens and Mr Martinez met a few days before Mr Lyons tweeted on Friday the legal matter had been resolved. But Ms Couzens said she organised the meeting to discuss funding for Diversitat with Multicultural Affairs Minister Robin Scott. “I’ve got better things to do than talk about (Mr Lyons).